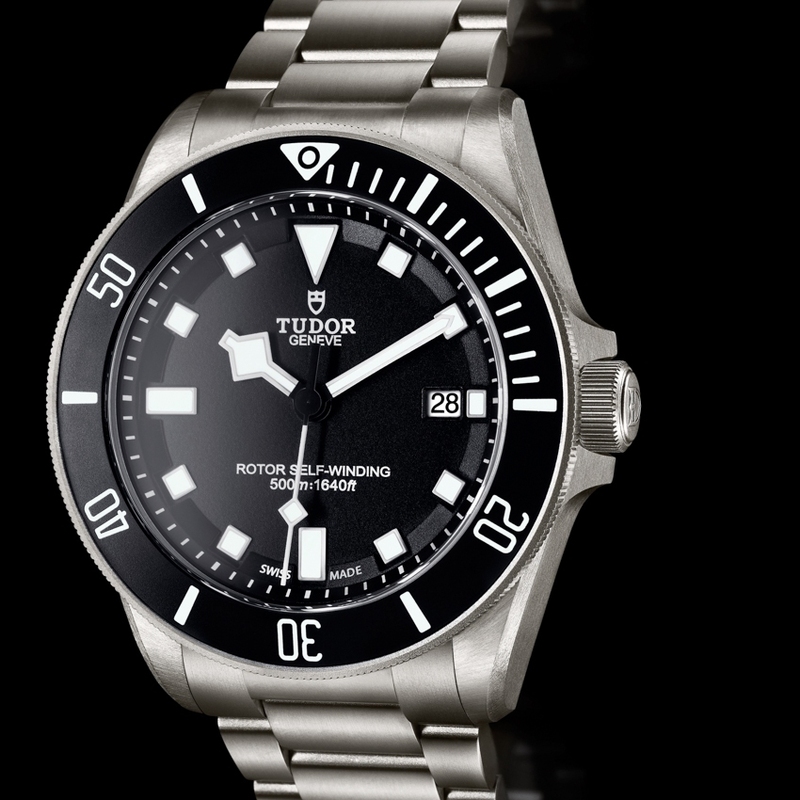 The Tudor Pelagos puts technical mastery and mechanical reliability into an authentic dive watch that takes its stylistic cue from Tudor's impressive past. The new Pelagos goes further still and explores the ocean's deep with a new dimension. Water-resistant to 500 metres, the 42 mm case of this exceptional dive watch is made entirely from titanium with an all-over satin finish. 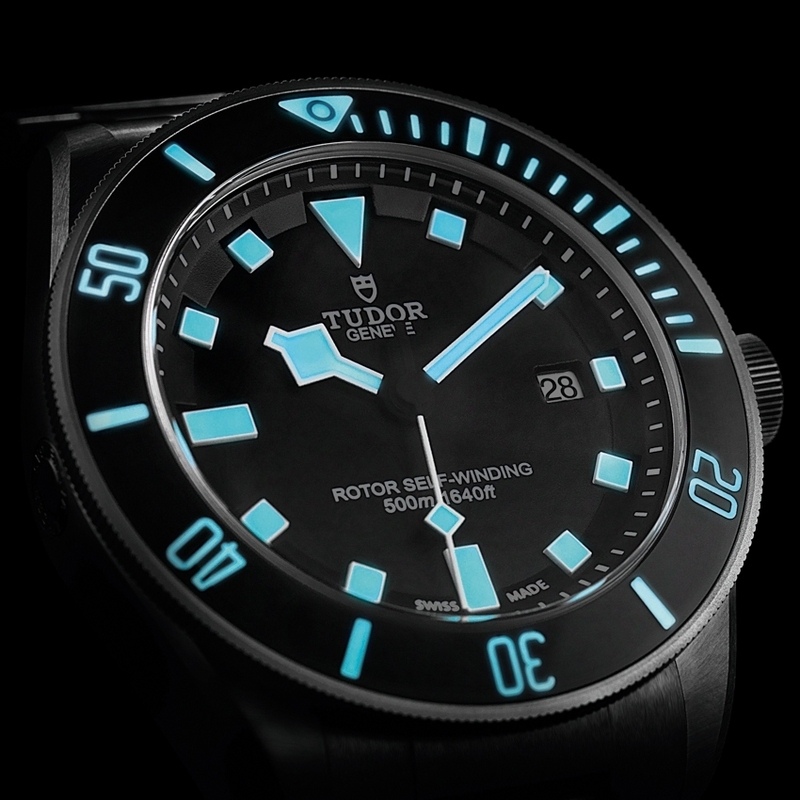 It incorporates a helium escape valve as well as a unidirectional bezel enhanced with a mat black ceramic insert and luminescent numerals. The thickness of the bezel ensures it can be easily gripped and rotated. 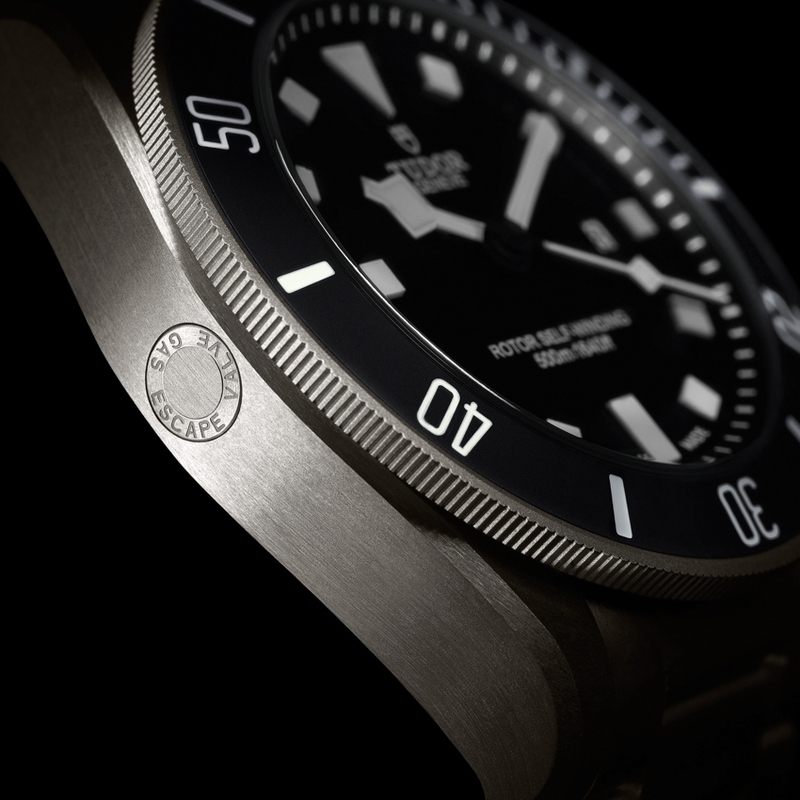 Practical, legible and tough, the Pelagos dive watch also stands out for its titanium bracelet whose steel folding clasp is equipped with a unique and patented spring-loaded, self-adjusting mechanism.